1. Visual Search: Test a subject’s natural visual search ability. 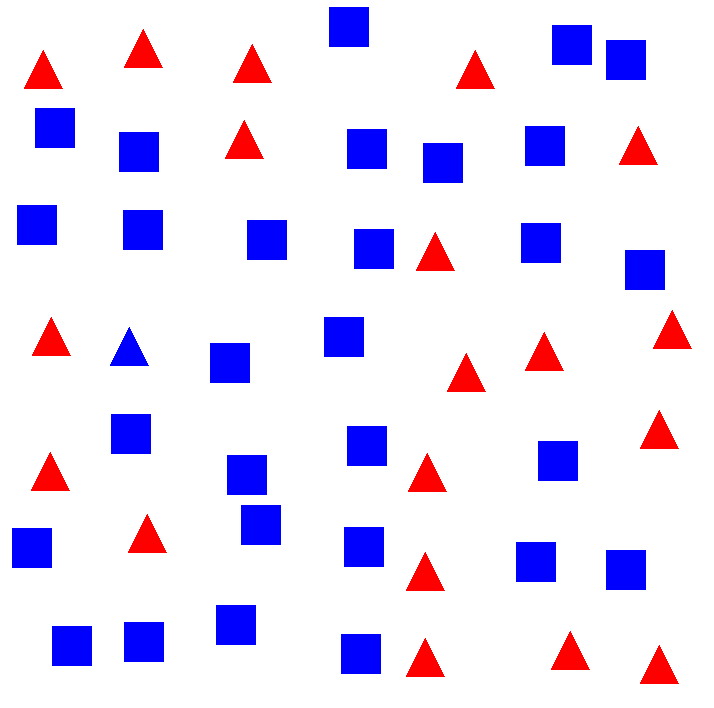 The goal for a subject is to find the unique shape in the cluster of common shapes. (as shown on right) I wrote the software that records reaction time, generates random clusters, and tracks eye movement (point of gaze). The current data analysis include: reaction speed based on subject, search strategy based on subject. 2. Whole Slide Tracking: I also wrote the software that works with professional medical whole slide image viewers to track and map points of gaze to the original slide image. This enables us to find out the patterns of search of a trained pathologist. The eye tracking hardware GazePoint is very key in this research. My professor requires a 2 machine setup to enable real life usability and manual monitoring thus I wrote the software using network socket extensively. The software is also threaded for recording huge data stream. We’ve showcased a poster this July and are working on a paper right now.